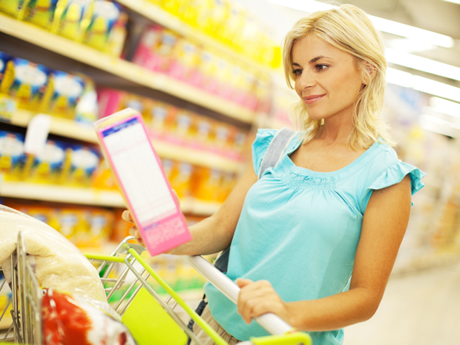 Shopping for healthy ingredients can be daunting. Even if you stick to the perimeter of the store, where you can gather your fresh produce, dairy products, and meat (or better yet, shop at a farmers’ market), what about when you need to venture into the center aisles, where you’ll find packaged and processed goods for, say, condiments or chicken broth? Which deli meat is nitrite free? Which veggie burgers aren’t chock full of filler? Some of the food products out there are downright scary, so to help you navigate the grocery store minefield—dangerous territory that extends to the deli section and the dairy—BeachBody sent some of their staff experts out to examine a variety of brands, in hopes of finding the best food products* available at most supermarkets or online. An interesting discovery during their investigation: Not all food products created by the same brand earned our thumbs up. Some were okay, others were not. These suggestions are not exhaustive—there are a lot of great products out there. If you can’t find the products mentioned below, read the label first. The Whole Foods brand of ketchup contains only the ingredients ketchup needs to be “ketchup”—tomato puree, evaporated cane juice, white vinegar, salt, onion powder, and spices. If you don’t have a Whole Foods nearby, Heinz’s Simply Heinz® is the next best option, as it contains sugar instead of high fructose corn syrup. The best way to know exactly what is in your ketchup is to make your own. Try this easy healthy ketchup recipe. Mustard is an almost calorie-free way to give a flavor boost to sauces and proteins. But some mustards also include “natural flavors.” And because natural flavors are not always “natural,” we’re going with the one that doesn’t have them. Real mayonnaise is made from eggs, oil, and sometimes lemon juice or vinegar. Most store brands stray pretty far from this recipe. Miracle Whip® adds high fructose corn syrup, natural flavor, and potassium sorbate (a synthetic preservative that is also used in industrial coatings). Best Foods/Hellmann’s® adds calcium sodium EDTA. Spectrum makes several mayonnaises that meet our high standard. All of the ingredients are organic and are actually food. Hot sauce adds flavor, but can also add unnecessary sugar or sodium. It doesn’t take a lot of ingredients to turn up the heat. Classic Tabasco only has three ingredients: red peppers, salt, and distilled vinegar. Many Mexican hot sauces come in a healthy(ish) second. All you need to do is read the ingredients list. There’s no getting around the fact that soy sauce is loaded with sodium. But, grab a random bottle from the shelf and it might also include modified food starch or sugar. This soy sauce is tasty, though don’t mistake it for a low-sodium food! We don’t love that it includes sodium benzoate and lactic acid, but we’ve seen worse. If you have a Trader Joe’s® nearby, theirs is best as it contains only water, soybeans, wheat, and salt. Plus, it has 460mg of sodium (vs. Kikkoman’s 575 mg). Peanut butter that’s perfectly smooth and spreadable (even the crunchy kind) is made with added hydrogenated vegetable oil or palm oil (and usually a ton of sugar). 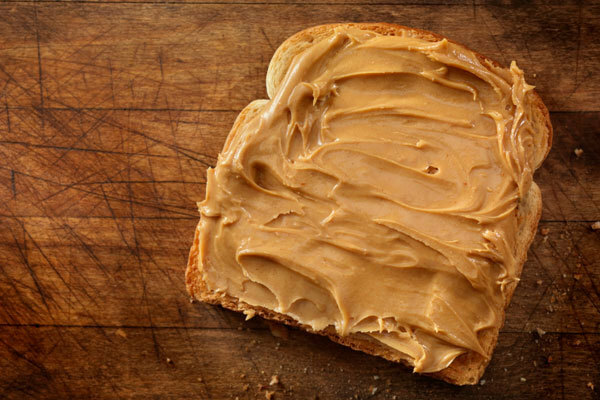 Don’t want to stir your all-natural peanut butter every time you eat it? We don’t either. Stir it once, and then store it in your fridge. Laura Scudder’s All-Natural Peanut Butter contains only peanuts and touch of salt. It is also available in organic and unsalted varieties. The jam, jelly, and fruit preserves aisle is full of trouble. Reach willy-nilly for any jam jar on the shelf and you might be picking up a jar of fruit laced with high fructose corn syrup, tons of added sugar, aspartame, and Red 40. St. Dalfour is pure, old-fashioned fruit spread: fruit, fruit juice, and pectin (a natural thickener). A widely available alternative, Bonne Maman® Fruit Preserves ($4.99/13 oz. ), gets high marks from us for its real fruit flavor and similarly simple recipe (they sweeten with sugar instead of juice). The best way to have healthy salad dressing is to make it from scratch. Otherwise you risk ingesting a wide range of nasty stuff like corn syrup, artificial colors, and phosphoric acid—a tangy-tasting corrosive chemical. We found all of these ingredients in Kraft Free Caesar Italian). Annie’s Naturals uses common, known ingredients: water, oil, vinegar, honey, mustard, and salt. 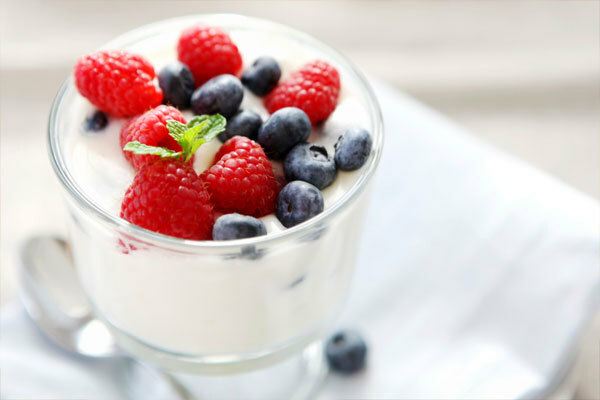 Greek yogurts are made from the same stuff as regular yogurt, are strained to achieve a thicker consistency, and contain more protein. For the most part, they all get our stamp of approval. The key is to buy plain Greek yogurt and add your own fresh fruit or honey. Here’s why. In those little pre-flavored cups, there’s a lot of added sugar. 8 ounces of plain nonfat Fage has 100 calories, 23 g of protein, and 6 g of sugar (from the milk). One 5.3-oz. container of Blueberry Fage has 120 calories, 13 g of protein, and 16 g of sugar (from the milk, blueberries, and added sugar). Eating more yogurt and consuming more protein, fewer calories, and less sugar sounds good to us. Once again, plain is best. The flavored yogurts we inspected contained a lot more than the fruits showcased on the labels. Light yogurts were even worse with ingredient labels that listed aspartame, gelatin, and modified cornstarch. DANNON plain nonfat yogurt contains 100 calories and 11 grams of protein per cup. The only ingredients? Cultured Grade A nonfat milk, live active cultures (L. bulgaricus, S. thermophilus, L. acidophilus, bifidus, L. casei—the bacteria strains that make yogurt yogurt), and pectin (a thickener made from fruit). 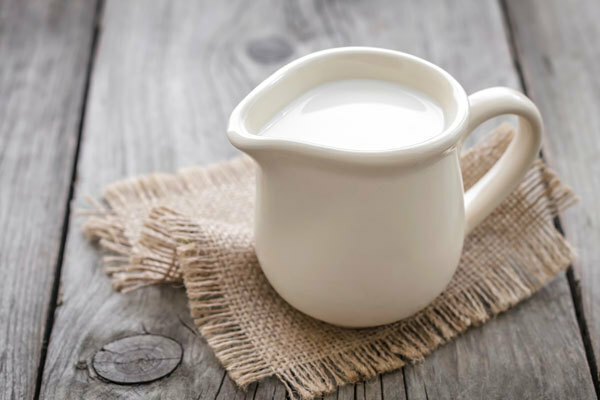 A side note: Though we mostly recommend the low-fat and nonfat dairy products in our guides and recipes, it’s OKAY to eat full-fat dairy products. They’re less processed than their nonfat cousins. Nearly every Beachbody® program nutrition guide includes cottage cheese, because it is a low-calorie, protein-rich, versatile anytime snack. But some brands of low-fat cottage cheese also contain suspect ingredients like modified food starch, mono- and diglycerides, and artificial color. Daisy Low-fat Cottage Cheese contains only milk, cream, salt, and vitamin A palmitate (a plant-based source of vitamin A added to replace the nutrients lost when fat is removed). Want to avoid the palmitate? Eat the full-fat version. Spreadable cream cheese packs big flavor and protein in just a tablespoon or two. But some brands, like Weight Watchers®, contain extra ingredients like maltodextrin and inulin (a sweetener). Flavored cream cheeses often contain artificial flavors and colors. Organic is always best, especially when it comes to dairy. Organic Valley cream cheese is made from organic milk, organic cream, organic lactose powder, salt, and organic locust bean gum—a natural thickener made from carob seeds. If you can’t spring for organic, we also recommend Philadelphia® Original Cream Cheese ($2.29/8 oz.). Technically, half and half is a blend of cream and milk, but many brands add color, preservatives, corn syrup, and mono- and diglycerides. Fat-free versions replace cream with fillers, emulsifiers, and chemicals. Ever looked at the ingredient list on non-dairy milk? There’s a lot there that might cause your eyebrow (and your blood sugar) to rise, including all kinds of sugars and preservatives. Organic Unsweetened Edensoy contains two ingredients: water and organic soybeans. Plus, it has 12 grams of protein and only 5 mg of sodium per 8-oz. serving (compared to 7 g and 70 mg in Silk®). With just 30 calories per serving, almond milk has one-third the calories of nonfat milk. Made from scratch, it contains only almonds and water, but some brands’ recipes include a long list of other ingredients, including sugars. This almond milk contains almonds, sea salt, vanilla, rice starch, carrageenan (from seaweed), and natural flavors. Plus, it’s fortified with the same nutrients as milk. We’ll take it. Rice milk is a simple beverage at its core. That’s why we were surprised to see so many extra ingredients and sweeteners in some brands. However, unlike other milk alternatives, rice milk has low nutritional value and provides very little protein. It is not our first choice for your balanced diet. Rice Dream has a handful of ingredients (water, brown rice, expeller pressed high oleic safflower oil, and sea salt), and we like that it’s made from brown rice. Many—though not all—breads that claim to be “whole-grain” contain processed flours, sugars, and dough conditioners, and that is just the beginning. Why? What’s in it: brown rice, whole sprouted grains and lentils, wheat gluten, and sea salt. Everything is organic, and each slice has 80 calories, 3 g of fiber, 4 g of protein, and 0.5 g of fat. They also offer a gluten-free version. Another option? Freshly baked, whole-grain bread from your local bakery. Like their bread, Food for Life’s English muffins contain only organic sprouted grains, yeast, gluten, and salt. Half of one muffin has 80 calories, 4 g of protein, and 3 g of fiber. 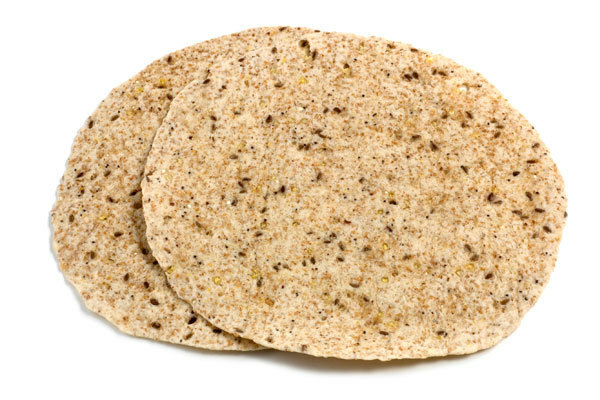 Many whole-grain tortillas, like Mission® multi-grain flour tortillas, look deceptively healthy, but are made with evil hydrogenated oils, sugar, preservatives, and chemical dough conditioners. Food for Life’s tortillas are made from organic sprouted grains, seeds, lentils, water, sea salt, and nothing else. Their ideal size (80 calories, 3 g protein, and 2 g fiber) and clean ingredients list make them the healthiest choice for wraps and personal pizzas. Every hamburger bun we inspected contained a long list of undesirable ingredients like ethoxylated diglycerides, high fructose corn syrup, and chemical dough conditioners. Food for Life is the clear winner of the bread category. Their buns are made from organic sprouted 100% whole wheat and 100% whole wheat flour (always look for the 100%). Or you can use freshly baked bread. Just check the ingredients before you purchase. We picked up nearly every box in the cereal aisle, reaching instinctively for cereals we thought were made with basic ingredients—they weren’t—and ogling the crazy ingredient lists on some: brown rice syrup, cane syrup, high fructose corn syrup, preservatives, fillers, artificial colors, “coatings,” refined flours. This was our greatest find of the day. After giving up hope that an ideal breakfast cereal existed, we found this little red box and snatched one for “further research.” Its hearty whole and sprouted grains and flakes did not disappoint. Their Triple Berry Walnut cereal contains real fruit (actual strawberries and blackberries!) that provides a hint of sweetness. There are no added sweeteners of any kind. They have a diet plan that we don’t necessarily endorse for everyone, but we can’t say enough good things about their cereal. When it comes to frozen waffles, we’re not touching the highly processed yellow variety (seriously, they add artificial yellow color). But even some whole-grain waffles can add sugar and preservatives to your most important meal of the day. We chose these because, while they do contain sugar from cane juice and molasses, two of their whole-grain waffles have more protein (4 g) and fiber (7 g) than other brands. Serve with fruit instead of syrup. Tony Horton likens pancakes to eating birthday cake for breakfast. And it’s no wonder why. Original Bisquick® is made from processed flour and partially hydrogenated oils. Top that with butter and maple syrup and you’re on your way to fewer birthday cakes in the long run. We were impressed by the 100% whole-grain flour, 7 g of protein, and 4 g of fiber per serving of Baker Mills Kodiak Cakes mix. Sweetened only with honey, it contains no preservatives or industrial sweeteners. Luncheon meats can be scary territory in the grocery store. 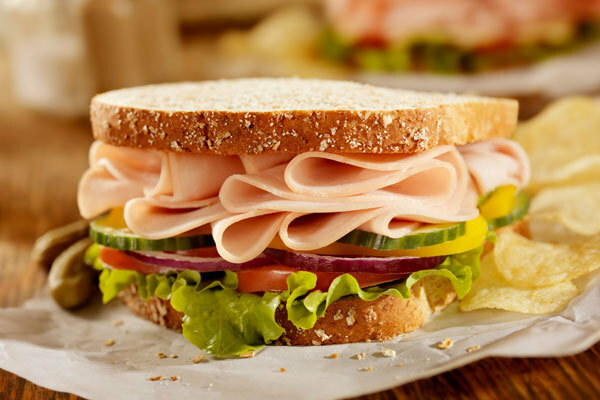 What looks like sliced turkey breast is often poultry pieces that have been ground into a paste, processed with chemical binders and nitrites, flavored with corn syrup and artificial flavors, and molded into a cylinder, then sliced. Ew. What’s the big deal about nitrites and why do we suggest all your meats be nitrite-free? Because nitrates and nitrites have been linked to increased risk of cancer, heart disease, and diabetes. Applegate’s packaged deli products are made from cage-free animals that were never treated with hormones or antibiotics. Their meats have no nitrites or fillers and stick to the basics—sliced protein, water, salt, and carrageenan obtained from seaweed. A vegetarian diet is supposed to be good for you. Which is why some of the ingredients in veggie burgers were so shocking. Artificial flavor? Modified vegetable gum? Natural butter flavor? Made from organic quinoa, organic sweet potatoes—organic everything down to the spices. Each patty has 180 calories, 190 mg of sodium, 30 g of carbs, 5 g of fat, and 6 g of protein. Our second choice, Original Sunshine Burgers®, are also packed with organic goodness. These are made from sunflower seeds, so each burger is higher in fat and calories, but provides double the protein (350 calories, 21 g of fat, 12 g of protein). Hot dogs are famously made from mystery meat. This takes on new meaning now that the world has been introduced to the horrors of pink slime and horsemeat. Then there are all the artificial flavors, preservatives, sodium, chemical fillers, and corn syrup. Applegate Farms links contain only organic grass-fed beef and organic spices. At 110 calories per link, 8 g of fat, and 330 mg of sodium—and the knowledge that their animals are cage- and crate-free—when it comes to hot dogs, these are a good choice. Hummus is easy to make and we recommend that. Here’s a healthy recipe for hummus that you can try. But if you’re going to buy prepared hummus, selecting one that is close to how you would make it from scratch is best. Haig’s original hummus contains garbanzo beans, tahini, lemon juice, water, garlic, spices, and salt. With four flavors to choose from, you won’t get bored. Applesauce is a tasty way to add fruit to your diet, as long as it’s all-natural. Mott’s® and Musselman’s® add high fructose corn syrup and/or sugar to some of their applesauces. Apples are one the most insecticide-treated fruits, so you’ll definitely want to buy organic. Santa Cruz Organic Applesauce contains only organic apples and vitamin C, for freshness. Salsa is the healthy man’s condiment of choice. But some are healthier than others. We passed on Pace® Picante Sauce because it has 250 mg of sodium per serving. 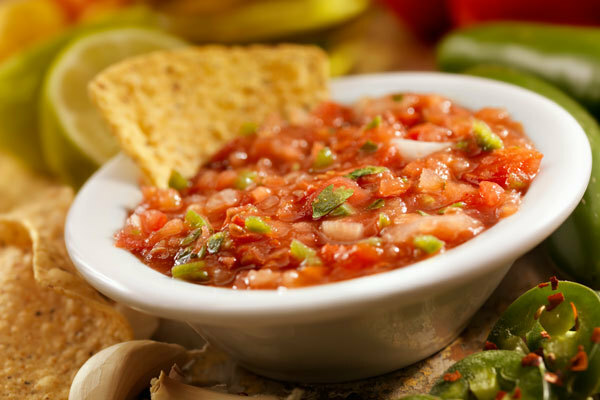 Look for jarred salsa without any added sugar, excessive salt, or preservatives. We chose Newman’s Own for its all-natural ingredients and lower sodium content (105 mg/2 Tbsp.). It does have added sugar, but only 1 g per serving. Soup is filling, often low in calories, and can help you feel satisfied. But, canned soup can be extremely high in sodium, and contain ingredients like hydrolyzed corn protein. A classic like Campbell’s® Regular Chicken and Rice contains MSG and mechanically separated chicken. From Butternut Squash to Minestrone to Chicken Noodle, all of these soups are made with the same ingredients your grandmother would put in soup—along with the occasional addition of cane juice. Each can has two servings. Prepared chicken stock can be aggressively high in sodium and may even contain MSG! Not to mention corn syrup and artificial flavorings. Making chicken stock at home is best. And it’s not hard. But, if you have to buy one, Pacific Organic makes the best we found, even though it does contain “chicken flavor.” Whatever that is. As with chicken stock, making your own is best and can be done with as little as an onion, some celery, a carrot, and water. Made from just vegetables, it’s hard to find a better option. Can’t find it at your local store? It’s available online. Do your breadcrumbs contain ammonium sulfate? Progresso’s do. Besides being a dough conditioner, ammonium sulfate’s other uses include plant fertilizer, herbicide, and fire extinguisher powder. Ian’s Whole Wheat Panko Breadcrumbs contain only unbleached whole wheat flour, malt extract, yeast, and sea salt. Basically, they’re made of bread. 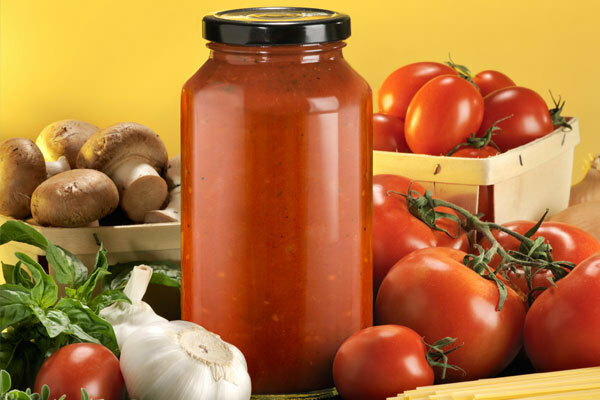 If you can’t find the time to make simple marinara sauce from canned tomatoes, make sure your jarred sauce is made from natural ingredients and is low in sodium and added sugars. Hunt’s® Traditional Marinara Sauce sneaks in high fructose corn syrup, corn syrup, and sugar. Many jarred sauces cut corners by using soybean oil instead of olive oil. This award-winning marinara sauce has no added sugar or soybean oil. It has ingredients that should be in marinara sauce—tomatoes, olive oil, onions, carrots, and garlic—and is sweetened with pear concentrate instead of sugar. Olives are high in iron and vitamin E and impart a nice umami to your salad or sandwich. Kalamata olives are higher in sodium than “black olives” but, unlike that popular variety, they don’t contain ferrous gluconate, an additive that turns green or brown olives jet black and can upset sensitive stomachs. Early California’s Pitted Kalamata Greek Olives contain the essential ingredients: olives, water, salt, and red wine vinegar. Crackers can be packed with all sorts of scientific-sounding ingredients that help them last indefinitely in packaging. Trying to find whole-grain ones? Good luck. 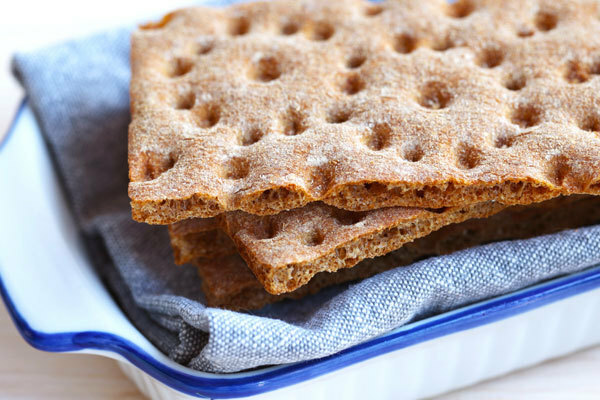 Wasa crispbreads are tasty even though they contain just the basics: whole grains, salt, water, and yeast. Their size, hearty crunch, and versatility with toppings make them a good choice for healthy snacks and small meals too! If you want salsa and chips, try baked chips. They’re lower in fat than their fried cousins and still have that satisfying crunch. These contain just organic yellow corn, oil (canola, safflower, or sunflower), and lime. With just 26 mg of sodium per serving and 120 calories for 18 chips, you can snack without feeling guilty. We recommend serving the correct portion of chips in a bowl rather than digging into the whole bag. Jerky is made with salt and sugar—there’s no getting around that. Avoid brands that use additives like MSG, oleoresin, hydrolyzed soy protein, and sodium erythorbate, and whatever you do, do not snap into a Slim Jim®. Oberto All Natural Jerkies are seasoned and preserved with ingredients you would have in your own home, like salt, sugar, vinegar, and beef stock. This brand’s worst offense is natural smoke flavor. Their turkey jerky is up to snuff as well. Just remember, those small bags are not single servings! Tea leaves, water—and voila! How could something so simple have gone so wrong? Look at the ingredients list of many bottled iced teas and you’ll see added sugar, sucralose, aspartame, or acesulfame potassium. You’ll also see 150 calories and 38 grams of sugar per serving. We stumbled onto Tejava a few years ago and haven’t looked back. When it comes to iced tea, this is our hands-down favorite. This microbrewed black tea is simply delicious and refreshing on ice. It contains nothing but brewed handpicked tea leaves…no sweeteners, no fillers, no added flavors. Just good ol’ tea. *This list is not exhaustive and the BeachBody team will continue to update it. If you have a food product you love that’s full of whole ingredients, share it below.